LOS ANGELES- A week has come and gone since Nipsey Hussle lost his life. And yet the love continues to flow in. Every day, thousands of people wait in long lines armed with flowers, candles, and memorabilia. They have come armed with their cell phones, taking selfies and recording the moment of being so close to the global icon who touched hearts with his works of charity and philanthropic deeds. “First of all, we are just honored that God brought this wonderful human being our way because brother Nipsey Hussle did more in 33 years than most of us have done in a lifetime to serve his community,” said Min. Tony Muhammad, Resident Minister of Muhammad Mosque No. 27 in Los Angeles, western regional representative for the Nation of Islam. South Los Angeles didn’t just have one of its brightest flowers abruptly plucked from its garden, it lost a true foot soldier. That’s because Hussle didn’t talk the game of giving back to his community; he did it. Hussle had the money and fame to walk away from the community he grew up in. He didn’t do that. This is why people are mourning the loss of Hussle so hard. He was a lot more than just being a Grammy-nominated rapper. The shooting death of Hussle has left a lot of people in the South Los Angeles community as well all over the world devastated. There is a lot of sadness. There’s disbelief. There’s anger. But there’s hope as well. 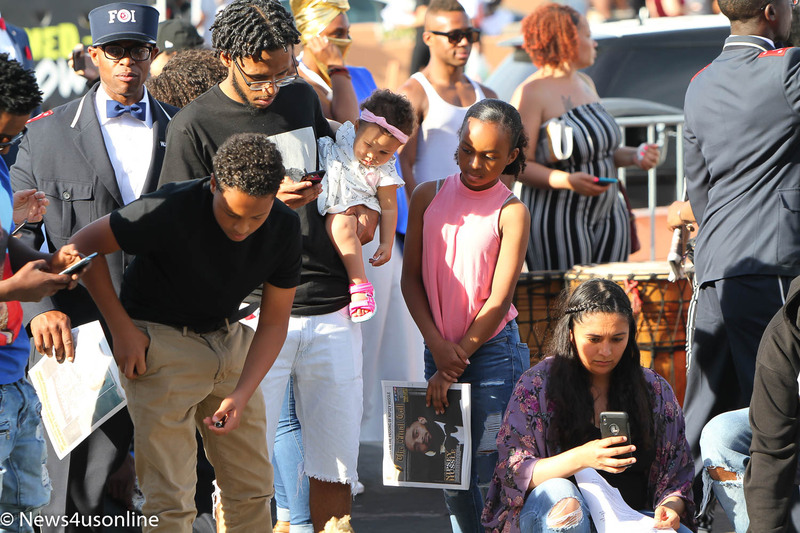 Social justice activists Linda Jay said outside of the normal morning grieving process that Hussle’s family, friends, and well-wishers are enduring now, something positive will take hold for the community. City officials have since called for calm in the wake of the shooting incident that took place March 31 in the parking lot right in front of the store and other businesses that Hussle owned and operated on the corners of Slauson Ave. and Crenshaw Blvd. 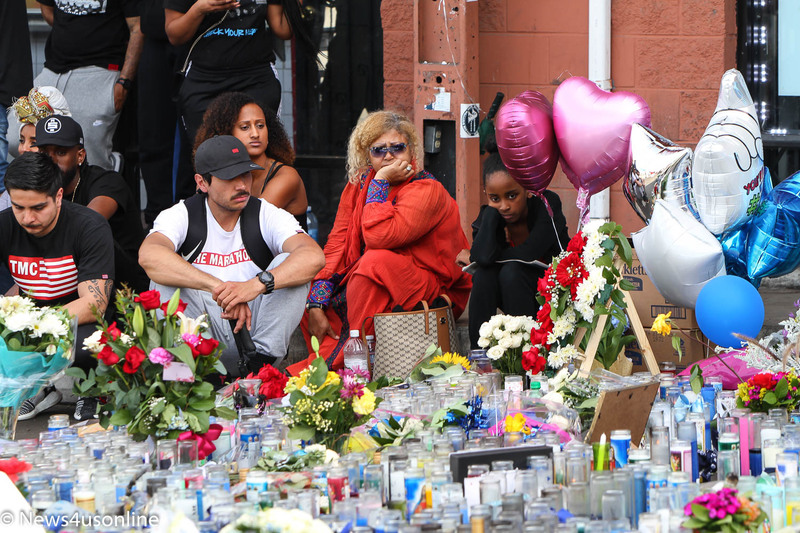 Outside of the international headlines of the rapper and philanthropist’s passing, is the fact that there has been an increase in homicides and violence in South Los Angeles recently. Los Angeles Mayor Eric Garcetti highlighted this fact in a press conference with law enforcement officials a day after Hussle was shot. 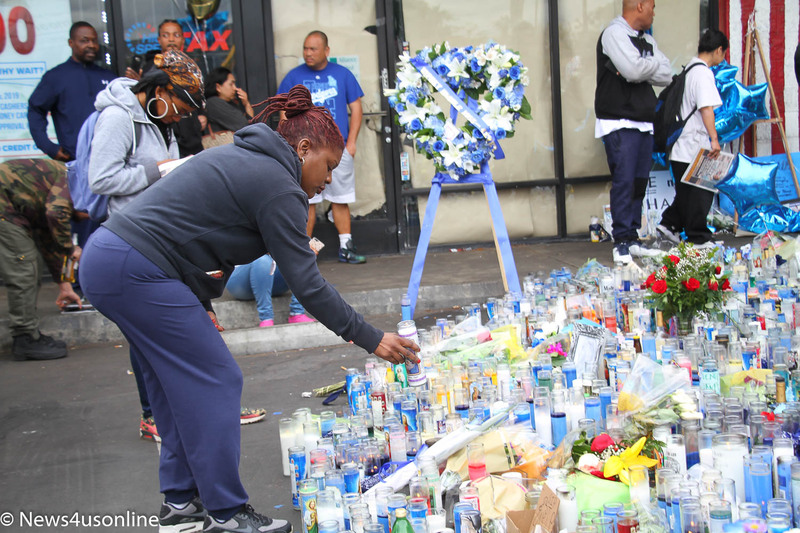 During the week that Hussle died, 11 homicides took place in South Los Angeles. Garcetti and Los Angeles Police Chief Michael Moore are hoping those numbers are more of an abbreviation than a sign of what’s to come. Retaliation to Hussle’s death would only worsen matters, Garcetti said. 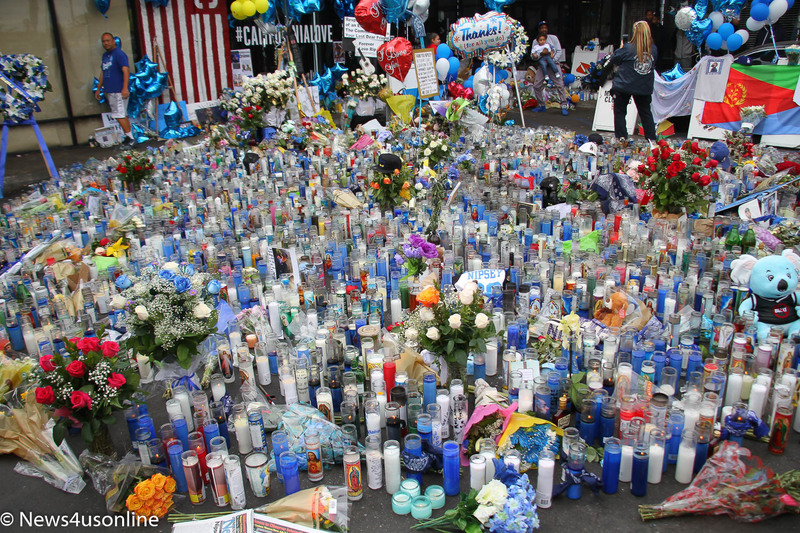 Banding together is what the South Los Angeles community has done in the wake of this tragedy. The outpouring of love towards Hussle pretty much runs the gamut of feelings from fans and non-fans alike. It’s not just young people that have been impacted. Some old hats feel the community sting of Hussle’s death as well. To many people, Hussle walked the walked when it came to community philanthropy, re-investing back into the local neighborhood, and trying to create an awareness of local pride. Evelyn (Lynn) Esceves was born and grew up in South Los Angeles. She knows this neighborhood well. Despite the usual high rate of crime and violence in the community, Hussle stood above all of that noise with his community-building efforts and entrepreneurship. Esceves would not elaborate on her theory why Hussle was shot down, but her husband, Jaycee Esceves, said that Hussle was about as cool a person he had ever met. Jaycee Esceves said he had a couple of chance encounters with Hussle. The rapper was never above reproach, he said. The violent way in which Hussle died surpised him. Jaisen, who requested that his last name not be used, said like everyone else, he was flabbergasted at the news of the shooting. His admiration for Hussle was music lines, but rather through his reputable business dealings. Community activist Najee Ali held a press conference to talk about why the shooting death of Hussle is absolutely crushing to so many people.